You had doubts about an association, but things are improving. Don’t be surprised if this person goes on to satisfy even your famously high standards. You’ve no choice but to join forces. Remember when the person gets demanding (and s/he will) that neither of you can go it alone. You get unexpected praise from a superior. Think fast and turn a vote of confidence into a step up the ladder. Now that your goal is in sight, another possibility opens up. Why be married to one outcome? It’s never too late to explore options. Jupiter, planet of Justice, shows an ex-spouse, debtor, or negligent company will have to pay up. But don’t stop there. Ask them to cover your costs too. Now that you’ve gotten over your initial reluctance all sorts of possibilities will soon present themselves. Careful. You can focus so much on what’s out of reach that you ignore what you have. A second look shows you possessed a valuable resource all along. An emotional risk leads to a weird place. Things won’t turn out the way you imagined, but that might be the point. Watch it. Someone’s painting an overly rosy picture to take advantage of your love for greener pastures. Fall for it and you lose what you have. You’re reshuffling priorities for the next few weeks as projects you considered dead in the water get their second wind. You can do it all if you’re strategic. 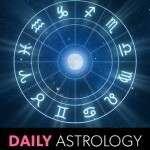 Money flows in your direction again as Jupiter undergoes some serious cosmic feng shui. Cast your nets wide so you can collect all the shiny shekels. A last ditch effort works out! But don’t get into the habit of banking on these sorts of things. Miracles are nice, but hardly reliable.